Jodhpuri, a highly acclaimed home décor and home fragrance company, is bringing the scent of autumn into homes with the popular pumpkin spice fragrance, available in potpourri and reed diffuser oils. Creamy and rich, the aroma of sweet pumpkin, complimented with nuances of nutmeg, cinnamon, clove and ginger, rounded out with a buttery vanilla note makes pumpkin spice the perfect fragrance for the upcoming fall season. This beautiful welcoming smell is not only an autumn or winter fragrance but is subtle enough to be used at home year round. Natural botanicals and fresh fragrance oils also ensure a lasting scent. 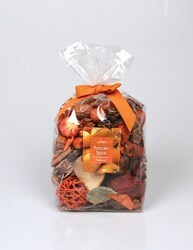 The pumpkin spice potpourri is versatile enough to be placed in a glass jar, a decorative vase or any other dish in any room in the house. The pumpkin spice diffuser oil works very well with reed diffusers. Jodhpuri offers an eclectic selection of reeds which provide something for everyone. The diffuser oil is multifaceted and can not only be used with our reed diffusers, but soaking a cotton ball in our diffuser oil and using a vacuum cleaner to spread it around the house, a heavenly aromatic fragrance will surround a home. Prepare for the upcoming fall season with the nostalgic scent of pumpkin spice as well as our other holiday or everyday fragrances such as apple cinnamon, cinnamon spice, bayberry, and pine frost. Jodhpuri Inc, is a leading manufacturer and distributor of Reed Diffusers, Potpourri, Incense, Scented Real Touch Flowers, Water Acrylics, Artificial Greenery, and home décor items for over 23 years. We are headquartered in Parsippany, NJ.